Take a short, 30 minute, ferry ride from Seattle and enjoy the gorgeous views and possible Orca sightings (you can even go HERE to find out where the local Orcas are) while on your way to the beautiful Bainbridge Island. Bainbridge Island is a charming village with waterfront shops, incredible restaurants, adorable diners, and unique activities. Lobster Macaroni and Cheese- Doc’s Marina Grill: The most incredible, sophisticated version of a traditional kids meal! A must try! MORA Iced Creamery – THE BEST ice cream you’ll ever have with fresh new flavors such as Stracciatella and Pistachio, or my personal favorite, Coconut. Hiking Trails and Canopy Tree Climbing – for those adventure lovers who need more than a quiet town to get them excited. Bainbridge Island has a slew of hiking trails through the lush forests. You’re bound to see raccoons, squirrels, deer, foxes, and maybe an owl or two. You can find out more information at the Official Bainbridge Island Visitor’s Guide. 2. Poulsbo Just past Bainbridge Island is another incredible town full of Scandinavian history. 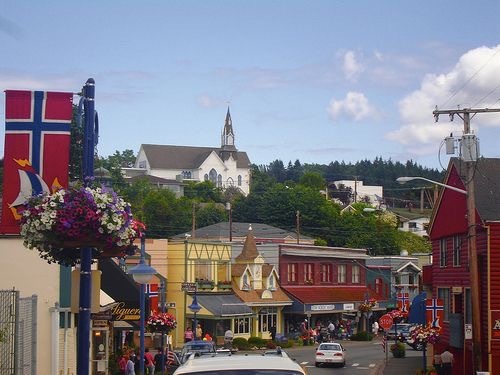 Poulsbo is an adorable town on the waterside with gorgeous parks, a boardwalk, and a “Norway Feel”. Paddle Boarding and Kayaks – Poulsbo is located on the gorgeous Liberty Bay. Calm waters makes it perfect for paddle boarding and kayaking. You know what else the bay is perfect for? Seal hide outs! The cove is just full of cute seals that spend their days relaxing in the sun or playing games of “peek a boo” in the water. Watch for them to poke their heads out of the water! Not to mention the panoramic views of the Olympic Mountains! The Loft – A fresh, delicious menu and waterfront tables! This is a bar and grill that is right on the water and they even have a wall that can lift up and open the entire restaurant to the gorgeous Puget Sound. Viking Fest! 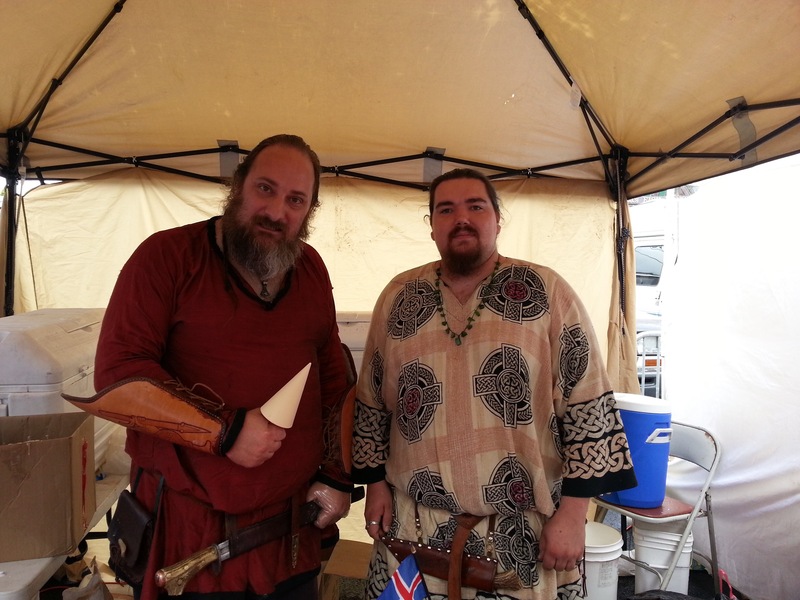 Every year in May, Poulsbo honors it’s roots by throwing a huge Viking Festival! Locals dress up. Delicious food and Viking hats are sold, and there’s even a Viking village that is set up. Visit The City’s website to learn more about the charming town here. 3. Kingston Another adorable little town right off of the Puget Sound. J’aime Les Crepes: a LEGIT crepery with French recipes and equipment. These crepes are EVERYTHING. Paddle Boarding: Visit Kingston Adventures to rent paddle boards and kayaks! 4. San Juan Islands This is the ultimate retreat for camping and whale watching! Whale Watching: The location is perfect for viewing killer whales! We use San Juan Safarisfor the nicer boats and smaller crowds! They also have a naturalist on the boat to help point out and identify many other animals that you might not have even noticed! It is about a three hour long tour and so much fun! Bring your sunscreen and a jacket! Camping: The San Juan Islands are packed with camping grounds! There are so many great, private locations with beautiful scenery. We even saw a family of otters playing in the water! Hiking: tons of hiking with incredible views! 5. 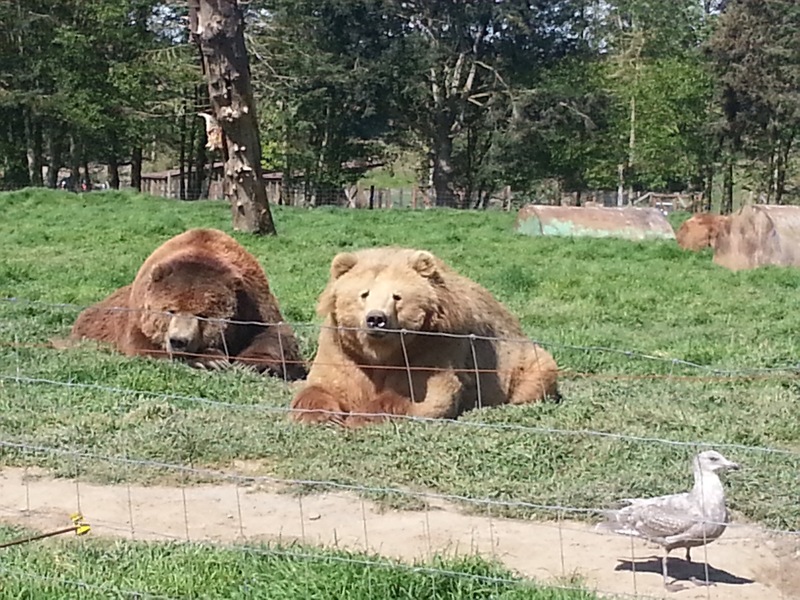 Sequim Home to the Olympics Game Farm, where you take your personal vehicle through a preserve of Kodiak Bears, tigers, Buffalo, and much more! Bring your own whole wheat bread too HAND FEED the animals! This experience is like NO OTHER. SERIOUSLY. The animals such their heads in the windows to eat the food, you get slobbered on, and there are lots of laughs and GREAT pictures! This is for all ages! 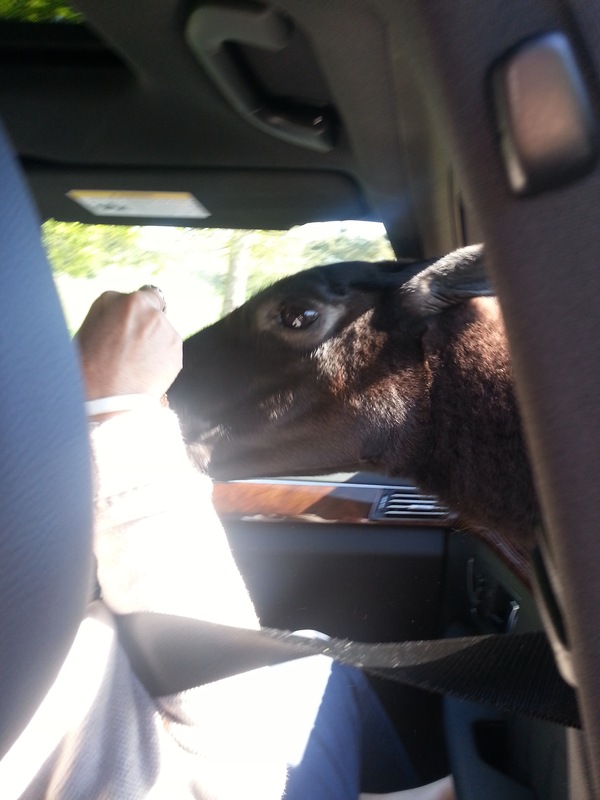 There is even a petting zoo at the end. Do not miss this! 6. Leavenworth The famous “Christmas Town” of the United States. 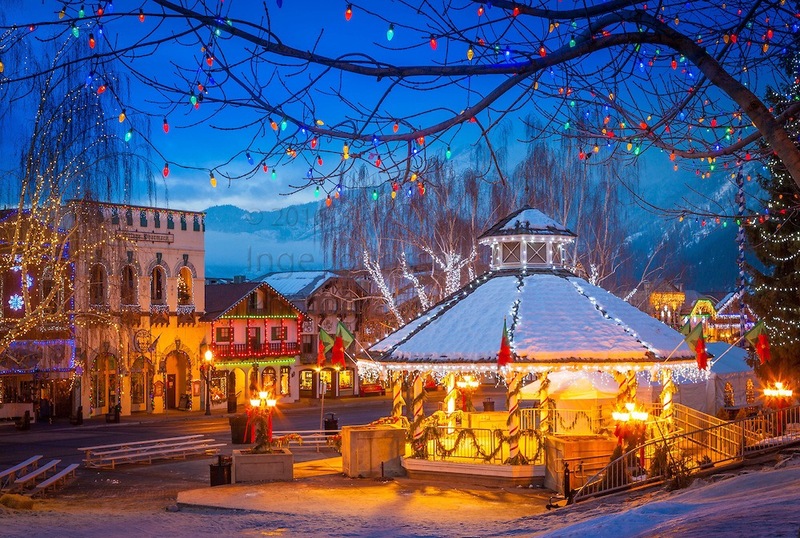 Imagine being able to jump inside one of those snow globes with the cute little villages and sleigh rides and you’re basically imagining Leavenworth. 7. Chelan THE MOST GORGEOUS LAKE YOU WILL EVER GO TO! Lake Chelan is surrounded by vineyards, is warmer than most of washington since it’s farther east, and is just a DREAM to go to. Seriously, a trip to Lake Chelan is a MUST. This place is JAM PACKED with fun activities for all of you adventurers out there. Jet skis, boats, paddle boats, and more! You will NOT be bored.